Last year, Logan came to us from the Valencia County shelter where he ended up after being hit by a car. He had a pretty gruesome broken jaw that required a couple of surgeries to fix. He was blessed with the very best foster mom who took fabulous car of him through everything. He gained weight, he healed, he had adventures… and when he was ready, he found his forever home! 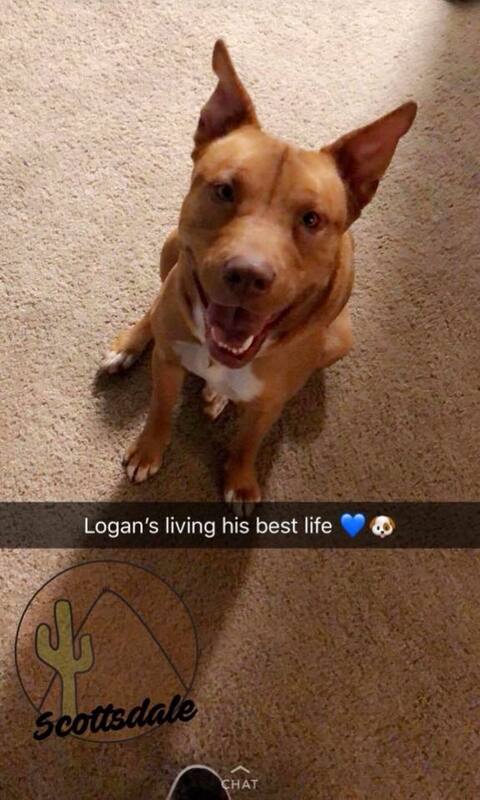 Logan and his dad have moved to Arizona, and Logan loves his life. He’s a happy, happy boy and he’s loved every single day. Without donations, we wouldn’t have been able to help Logan by fixing his jaw. Dogs with medical needs cost a lot more than healthy, issue free dogs who just need spayed or neutered… but Logan’s smile is proof that saving the medically needy dogs is so very worth it!